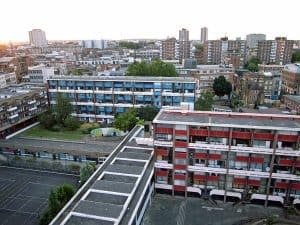 Residents on Golden Lane have been left reeling after the City Corporation signed off on a plan to uproot a number of trees to facilitate a development on the estate. 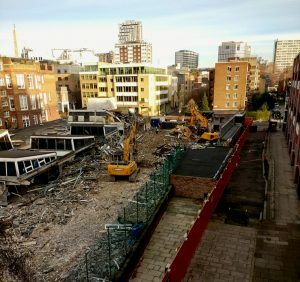 On 29 January, City of London Primary Academy Islington’s controversial application to discharge a condition that would protect several silver birch and cherry trees from being felled during construction was approved. The greenery is slated to be replaced post-construction by three saplings. Estate gardening committee, the Golden Baggers, who lobbied against the condition being discharged, said that removing the trees will have a “devastating impact” on local wildlife and worsen the air quality at nearby Prior Weston Primary School. But their arguments failed to sway members of the transport and planning committee, much to the dismay of Jacqueline Swanson, who alongside fellow resident Anna Parkinson and councillor Sue Pearson, presented objections to planners. 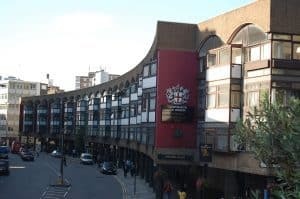 A spokesperson for the City of London Corporation said: “The redevelopment of the former Richard Cloudesley School will deliver much needed school places for local people and new homes for social rent.